B.A.– stands for Bachelor of Arts. B.F.A.– stands for Bachelor of Fine arts. 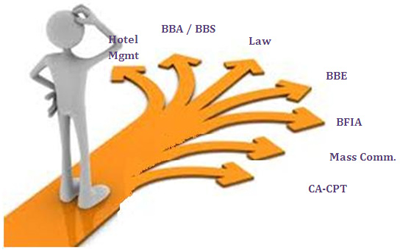 B.H.M.– stands for Bachelor of Hotel Management. B.E.M.– stands for Bachelor of Event Management. B.J.M.– stands for Bachelor of Journalism and Mass Communications. B.F.D.– stands for Bachelor of Fashion Designing. B.El.Ed.– stands for Bachelor of Elementary Education. B.P.Ed.– stands for Bachelor of Physical Education. D.El.Ed.– stands for Diploma in Elementary Education. B.SW.– stands for Bachelor of Social Work. B.RM.– stands for Bachelor of Retail Management. 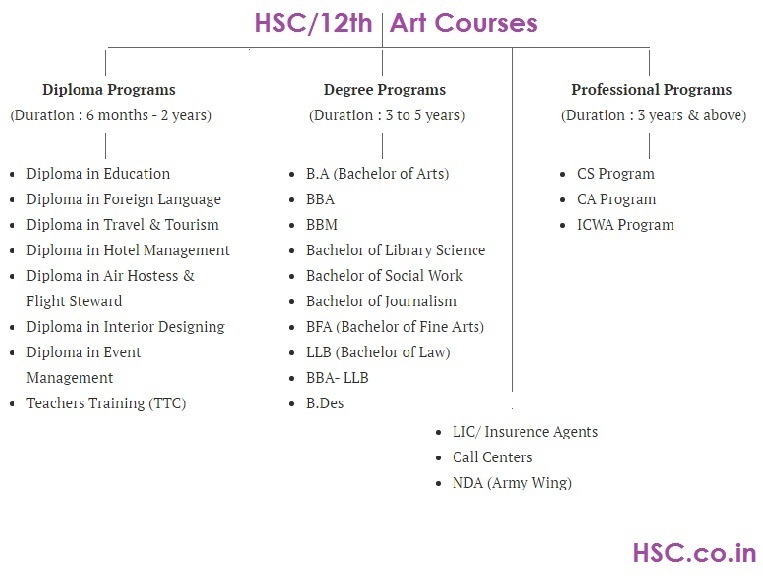 Deciding on which course to choose is very important steps in career. Make the decision wisely.